Permanent Home Address: Kineret 29, Moshav Amirim 20115, ISRAEL. 3. Pollination and reproductive ecology. Effect of fire on spatial genetic structure of native Pinus halepensis. Forest fire management in israel: an ecological- economic analysis. Distant detection of flowers by honeybee workers . 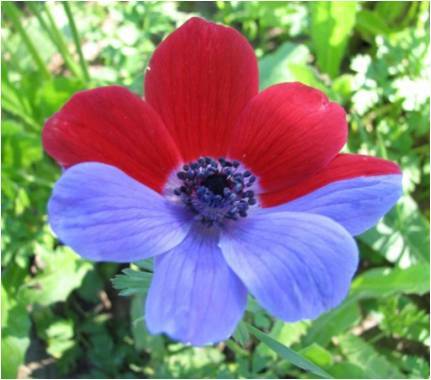 Pollination and reproductive success of distinct color morphs in Anemone coronaria. The effects of woody species as landscape modulators on the diversity of herbaceous species along the aridity gradient in Israel. Oswald, W.W., Doughty, E.D., Ne’eman, G., Ne’eman, R. and Ellison, A.M. Pollen morphology and taxonomy of the genus Sarracenia (Sarraceniaceae). Submitted to: Rhodora (IF=0.2; R=166/173; NSC=0). Ne'eman, G., Lahav, H. and Izhaki, I. 1992. Resilience of vegetation to fire in an East-Mediterranean pine forest on Mount Carmel, Israel: the effect of post-fire management regimes. In: Trabaud, L. and Prodon, R. (eds. ), The Role of Fire in Mediterranean Ecosystems. Commission of the European Community, Brussels, pp. 127-140. Ne'eman, G. and Goubitz, S. 2000. Phenology of east Mediterranean vegetation. In: Trabaud, L. (ed.) Advances in Ecological Sciences: Life and Environment in Mediterranean Ecosystems. Computational Mechanics Publications, Southampton, UK, pp. 155-202. Ne’eman, G. 2000. The effect of burned pine trees on post-fire regeneration. In: Ne’eman, G. and Trabaud, L. (eds). Ecology, Biogeography and Management of Pinus halepensis and P. brutia Mediterranean Pine Forest Ecosystems. Buckhuys Publishers, Leiden, pp. 303-320. Ne’eman, G. and Perevolotsky, A. 2000. The management of burnt forests in Israel. In: Ne’eman, G. and Trabaud, L. (eds). Ecology, Biogeography and Management of Pinus halepensis and P. brutia Mediterranean Pine Forest Ecosystems. Buckhuys Publishers, Leiden, pp. 321-334 (Refereed chapter). Nathan, R. and Ne’eman, G. 2000. Serotiny, seed dispersal and seed predation in Pinus halepensis. In: Ne’eman, G. and Trabaud, L. (eds). Ecology, Biogeography and Management of Pinus halepensis and P. brutia Mediterranean Pine Forest Ecosystems. Buckhuys Publishers, Leiden, pp. 105-118. Izhaki, I. and Ne’eman, G. 2000. Soil seed banks in Pinus halepensis natural forests. In: Ne’eman, G. and Trabaud, L. (eds). Ecology, Biogeography and Management of Pinus halepensis and P. brutia Mediterranean Pine Forest Ecosystems. Buckhuys Publishers, Leiden, pp. 167-182. Shmida, A., Lev-Yadun, S., Goubitz, S. and Ne’eman, G. 2000. Sexual allocation and gender segregation in Pinus halepensis, P. brutia and P. pinea. In: Ne’eman, G. and Trabaud, L. (eds). Ecology, Biogeography and Management of Pinus halepensis and P. brutia Mediterranean Pine Forest Ecosystems. Buckhuys Publishers, Leiden, pp. 91-104. Arianoutsou, M. and Ne’eman, G. 2000. Post-fire regeneration of natural Pinus halepensis in the east Mediterranean. In: Ne’eman, G. and Trabaud, L. (eds). Ecology, Biogeography and Management of Pinus halepensis and P. brutia Mediterranean Pine Forest Ecosystems. Buckhuys Publishers, Leiden. pp. 269-290. Organisms in their natural environment. 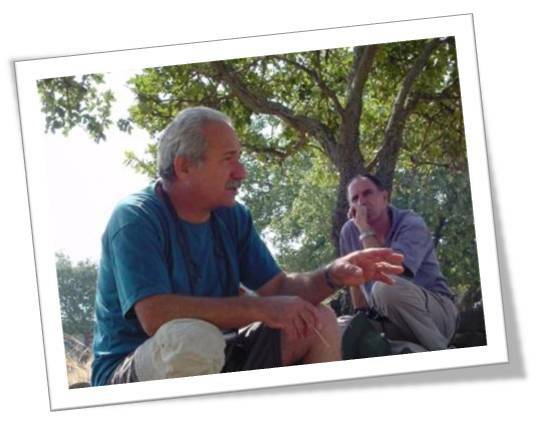 Geobotany, plant ecology in Israel. Pollination ecology - inter-university workshop at Mt. Meiron (with Profs. Shmida and Dafni). Quantitative methods in ecology (with Prof. Izhaki). Experimental design and analyses of scientific data (with Prof. Izhaki). Ecology of Mediterranean forests (with other faculty members). 1. The effect of post-fire tree cutting regime on the regeneration of natural Pinus halepensis. 2. Drought damage and recovery of Quercus calliprinos after a series of drought. 2. *Natarajan Singar-avelan The effect of secondary compounds in nectar on honeybee behavior and hive fitness (together with Izhaki and Inbar). The effect of secondary compounds in nectar on honeybees (together with Izhaki and Inbar). Spatial genetic structure and its temporal changes in post-fire regenerating stands of Pinus halepensis on M. Carmel (Supervision together with Ben-Shlomo). Spatial genetic structure and its temporal changes in post-fire regenerating stands of Pinus halepensis in Israel (Supervision together with Nathan and Ben-Shlomo). Regulation of germination by ash and its ecological significance in the post-fire regeneration of Mediterranean vegetation. (Supervision together with Eshel). Reproductive characteristics and spatial and temporal allocation patterns in natural and planted stands of Pinus halepensis and P. brutia. (Supervision together with: Werger, and Shmida). Pollination ecology of Oncocyclus irises (Supervision together with A. Shmida). Competition between honeybees and local solitary wild bees (Supervision together with Dafni). An Ecological- Economic Analysis (Supervision together with Shechter). Foraging behaviour of females and males of solitary bees. (Supervision together with Shmida). The effect of visitors on the soil properties and vegetation in pine forest campsites on Mount Carmel. (Supervision together with Dafni and Grinbaum). Invasion of Tamarix nilotica its ecological background and management implications (Supervision together with Klein and Portnov). Variation in genetic diversity, plant density, sexual segregation and reproductive success of Pistacia lentiscus populations along an aridity gradient (Supervision together with Inbar and Ben-Shlomo). Seasonal changes in the pollination system of Micromeria fruticosa L (Lamiaceae) and its efficiency in two populations on Mt. Carmel (Supervision together with Dafni). The effects of woody landscape modulating species on the diversity of herbaceous species in Mediterranean forest. 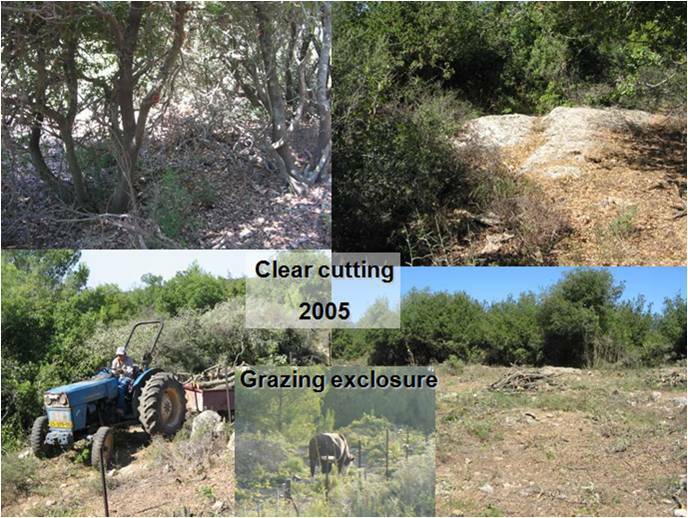 The effects of goat grazing and cutting on Mediterranean shrubs (Pistacia lentiscus and Phillyrea latifolia) - physiological and ecological aspects (Supervision together with Perevolotzki). The effect of wild boars (Sus scrofa) on herbaceous vegetation in Ramat Hanadiv park (Supervision together with Perevolotzki). 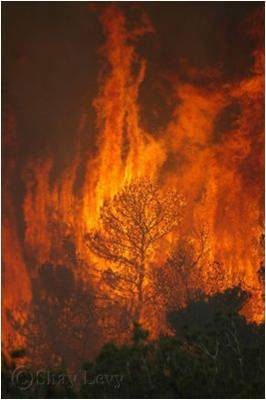 The effect of fire on the genetic structure of Pinus halepensis.